I have a passion for the fantastical stories and worlds we create as humans, and love getting to contribute iconography to the cinematic experience professionally. Yea, I love my job! I work full time for the studio, and have been fortunate to contribute key art designs for many of my all time favorite films and properties, many of which you can see on our companies website. Freelance wise, I recently collaborated with LEGION M , and the incredibly talented illustrator Paul Shipper, from the UK. 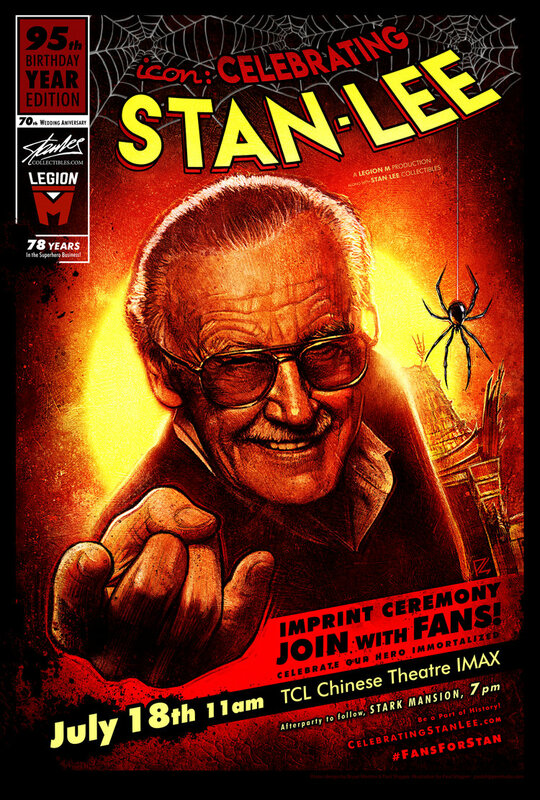 Together we designed the poster for Stan Lee's Imprint Ceremony (shown bellow). It is such an honor to help give back to such a legend, whose career and life has impacted me so profoundly. I am currently getting a new site up and running.